Looking at a world of possibilities in the early stages of making something, it’s sometimes hard to know which direction to take things in. So composer and producer Brian Eno and painter Peter Schmidt developed a series of cards to help artists break through their creative blocks and take risks in their work. Creative freedom is often considered essential for any artist. But complete freedom can be a curse for the indecisive. ‘Is this good, or is it rubbish?,’ we wonder. ‘Is it worth keeping going this way, or should I try something different?’ Or maybe we’re stuck in a rut—like someone lost in the desert with one leg shorter than the other, forever circling the same well-worn places. 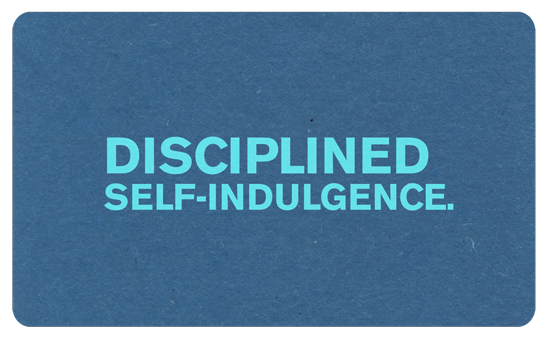 That’s why Peter Schmidt and Brian Eno’s Oblique Strategies are so intriguing. The two published their first deck in 1975, marketing it as presenting any artist with “over one hundred worthwhile dilemmas” to work with. Oblique Strategies are a series of cards, each with a random suggestion to apply to whatever project you are working on. Each card represents not just a suggestion, but also a constraint. And it’s this ‘external disruptive influence’ that makes Oblique Strategies so useful, especially for those of us who have an intrusive internal voice that spoils or causes us to lose faith in what we are doing. The 'strategies' can be used as a series of singular imperatives to encourage you to either continue, break, change, disassemble and rearrange any project. “This means that the element of concrete inspiration is there,” they write, “in tangible form be it paper or on-screen,” essentially forcing the artist to act. They also argue this promotes ‘transcendence’ (meaning taking an innovative approach) over ‘tradition’ (keeping on the usual track). 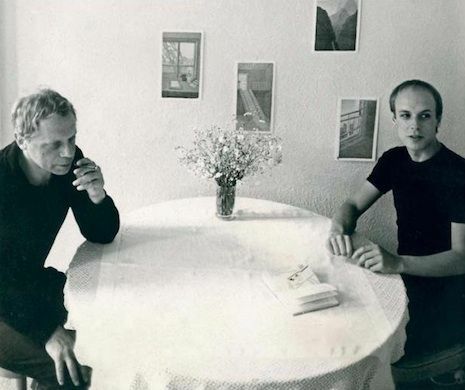 Eno used the cards when producing some of the most standout albums of the 70s and 80s—when working on his own albums, and when collaborating with Talking Heads, Devo and on David Bowie’s Berlin series Low, Heroes and Lodger. The genesis for the idea came earlier—from Eno and Schmidt’s experiments in art school. Without knowing it, they were working along the same lines independently from each another. Schmidt, who attended the same school, had been experimenting in a similar fashion. When the two showed each other the provocations they had been working with, they were surprised how many of them were the same or very similar. Seeing the creative possibilities, they combined their efforts, developed more prompts and eventually published a limited run of the cards. For Eno, Oblique Strategies are not part of an idle game to be played for fun; they are a serious tool to be used in high-stakes situations. “I’ve used them on nearly every record I’ve made,” he said. This is why Schmidt and Eno’s Oblique Strategies can be useful. To work the way Eno does requires a certain ego-less disengagement from the creative process, of getting out of your own way, and the cards seem to certainly help with that. The more we strip ourselves away and accept what is unfolding on the canvas, on tape, or on the page, the bolder and more interesting and original the resulting work becomes. And that includes magic moment of our own productive incompetence. 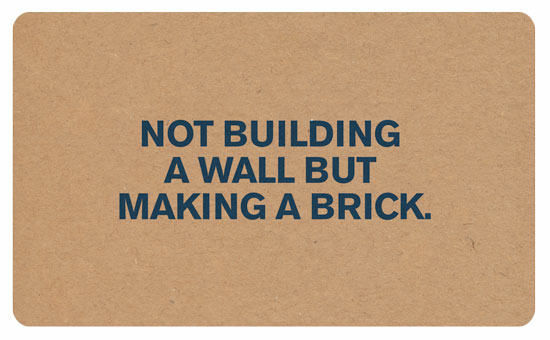 This sentiment also seems to reside in one of my favourite Oblique Strategies cards. Digital versions of Oblique Strategies are available as an app for iPhone or Android, and online.